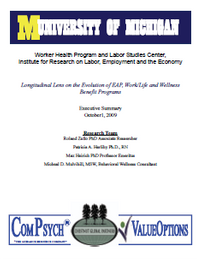 This summary handout contains all the pieces of the 5 year Research Project out of the University of Michigan's Worker Health Program and Labor Studies Center, Institute for Research on Labor, Employment. and the Economy. 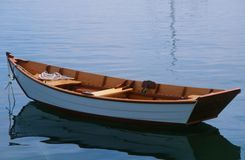 This most recent handout contains the initial Executive Summary, the published article, History of EAP, Work/Life and Wellness and current trends ( 2010), as well as a copy of the original study out of Boston University in 1993 along with a list of the original participating companies.